Frapin Multimillésime No 6 is, as the name suggests, the sixth expression in the series. This uber-special cognac has been created using Grande Champagne vintage cognacs from the years 1986, 1988, and 1991. And as any cognac connoisseur know, the art of cognac lies in the blending, and few cognacs demonstrate this better than the award-winning Multimillésime limited-edition. Only 1,270 numbered bottles have been produced, each packaged in the house's distinctive, classically styled bottle – a design based on an ancient cognac flagon – with a neck hemmed with cord and presented in a wooden gift box. We’ve not yet had a chance to taste this limtied edition, but according to Frapin and Cellar Master, Patrice Piveteau, the cognac begins with ‘finesse and subtlety.’ It intertwines the floral and fruity, fig and grapefruit notes of the 1986 vintage and the candied stone fruit and citrus of the 1991 with the more structural, woody characters of the 1988, resulting in a cognac with exotic, aromatic fruitiness, which then develops into more spicy/sweet notes of vanilla, liquorice and nutty rancio Charentais. 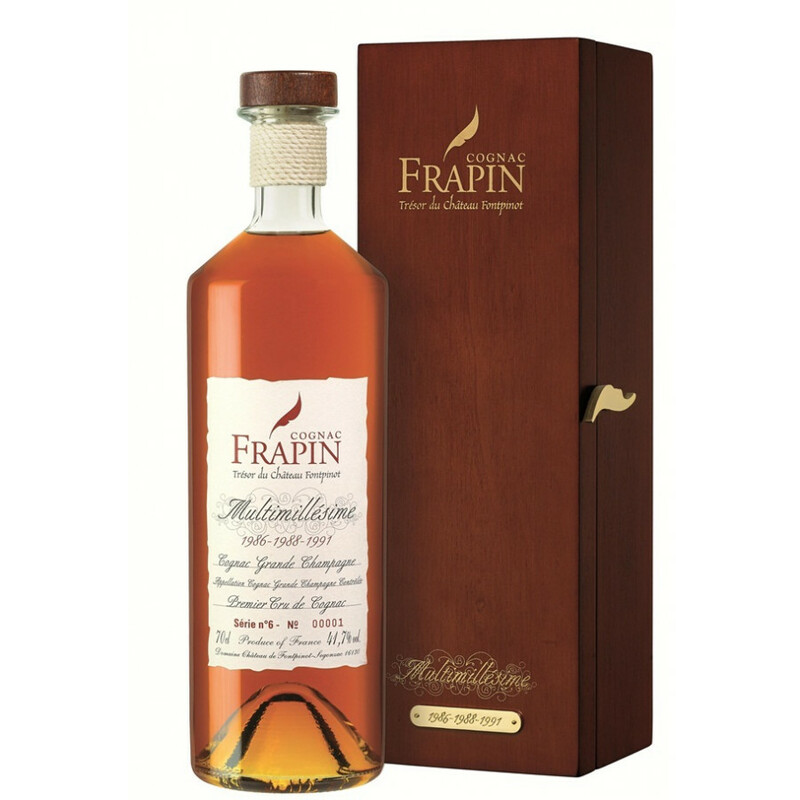 Frapin Multimillesime No 6 received the acclaimed award World's Best Cognac 2016.